Now I know this is going to sound a bit odd but one of my favorite pastimes is attending to my worm farm. I know! most people have a dog or a cat, but me, well I prefer worms. Well, let’s be honest they are not really my pets just a nice way to deal with my household scraps. I have a ‘Can O Worms ‘ worm farm which has two trays in which to add kitchen scraps. It takes a while for the worms to turn the scraps into usable soil but in the meantime they produce copious amounts of worm wee which I use on my garden. Setting up the worm farm was easy, it was simply a matter of snapping on the four legs and attaching the spout. The instructions are simple to follow. I started with the one tray as suggested in the manual. This meant filling a bucket with about 7 liters of water and placing the worm farm bedding block in it. The block starts to break up in the water and is ready to add to the worm farm after about 15 minutes. I placed the cardboard packaging into the base of the working tray and then spread the broken up worm bedding over it. Your worms will generally eat both the bedding and the cardboard. Now it was time to add the worms. 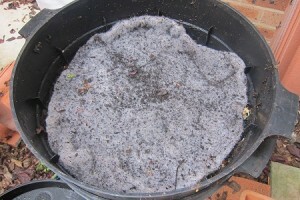 I started with 1000 composting worms and covered them with a worm blanket. Once they were all in place I put on the lid and left them to settle in. Don’t feed the worms for a couple of days. In fact you don’t need to feed them until you notice that the broken down bedding block is nearly gone. The worms will eat this before starting to eat any food that you introduce into the worm farm. It is handy to have the two trays because once the bottom tray is full and the scraps have been converted into compost it’s simply a matter of putting the second tray on top and adding the kitchen scraps to it. After a day or so the worms will begin to move to the upper tray and I can then use the soil in the bottom tray on the garden. As a guide they will eat anything that was once living. Every now and then I crush up some egg shells (they help with the ph balance) and add them to the tray. But I find that the food that disappears first is tomato. My worms just love it and although worms aren’t supposed to be choosy eaters, mine just love tomato scraps. Once a week when I am feeding the worms I sprinkle a teaspoon of worm farm and compost conditioner under the worm blanket. Sprinkle a handful of soil on top of the food scraps when you feed your worms. I keep a bag of organic potting mix on hand for this purpose. Mix everything together and sprinkle lightly over the food scraps once a week. These items take a long time to break down and meat brings flies around. Is there anything else that I shouldn’t feed my worms? Well be careful of adding manure from horses, cattle or dogs as they may have be dosed with vermicides to kill parasites and these vermicides can kill your worms and wipe out your worm farm overnight. 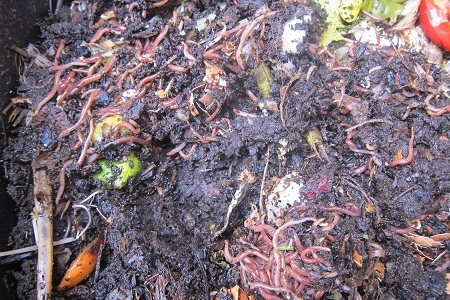 Also remember that worm farms are designed to break down soft organic food scraps so slow composting organic wastes such as garden refuse should not be added. You will be better off composting these in a compost bin or tumbler designed to break down garden waste. So how much should you feed your worms. Well it does depend on how many worms you have. They eat up to half their body weight every day so you will find that they fatten up quite quickly and the population of your worm farm will double every few months. So if you start with 1lb of worms they will consume up to half a pound of food waste each day. Do keep in mind that baby worms don’t eat much and they take around 3 months to mature. Just keep an eye on them and you will soon learn to judge how much they need. If you over feed the worms the excess food will become anaerobic and begin to smell. Oh dear, what should I do if this happens? 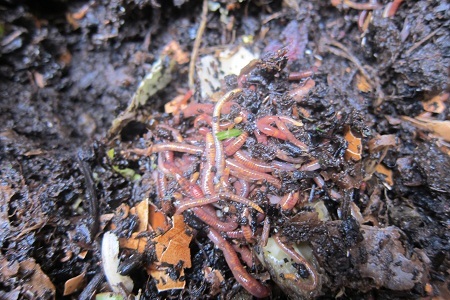 Simply stop feeding the worms for a few days and sprinkle some of the worm farm and composting conditioner over the food and mix it in with a garden fork. It is recommended that once a week you flush the worm farm, I am a bit tardy in doing this and often leave it for a couple of weeks, I do live in a cool climate. It is important to do this flush weekly in the hotter months. This means you need to pour around 5 liters of water into the top working tray, under the worm blanket, and this will flow down through the lower tray into the collector tray. Make sure the tap is open so that the water flushes out. If your worm farm is outside simply leave the tap open or you can place a bucket under the tap to catch the water. Worms love a moist environment. Last week I did have a bit of a disaster. I was cleaning out the collector tray on the bottom. I had run out of bottles to gather the worm wee in and so I thought I would just empty the contents over the garden and water it in. Well on the way to the garden I dropped the tray – simply because I didn’t have a proper hold on it, and the contents spilled all over the patio. So there I am scrambling around trying to pick up the few worms that were too stupid to stay in the upper trays, much to the neighbors delight. In the end I relented and hosed the remainder plus the worm wee and castings into the garden edge. Such a waste, but I will be more careful next time and it is the first time it has happened. I purchased my worm farm at Bunnings but they are readily available online from Amazon.com . The following pictures show what a my working worm farm looks like. I have had this going for just on a year now and I am very happy with the results. this could be a great hobby for a retired senior who loves to garden. Definitely Jean or even for young children…with a little help from mom and dad of course. We are always going fishing and finding worms can be a real chore. This little unit looks like something we need, finding worms would be so much easier with this. Thank you woohooo. I never thought of that Lorraine but yes you could use it for fishing. Fortunately, very little yard waste is generated during winter months when cold temperatures make composting difficult. 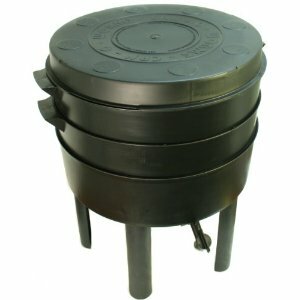 However, usable kitchen waste is constantly being generated and must be disposed of. I am in the process of moving. I will have a small garden and this sounds like a great idea. 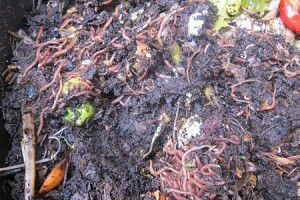 I think it’s a great idea to sort out the food for the worms for them to make compost. I can’t wait to start it. thanks Ladies. I only have a small area in which to have a garden and I find that this works really well for using up the food scraps that would normally end up in the garbage. I have just recently moved the soil from the bottom tray to the garden. The soil is very rich and I am sure it will help the plants immensely. Also don’t forget the benefits of worm wee on your plants. Dilute it down before using it. Plants love it..